Description: From 4 to 8 inches tall. 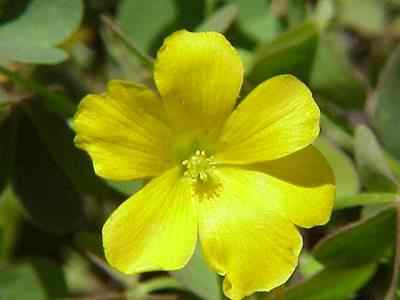 Leaves are heart shaped leaflets , clover like arrangment of 3 typical Oxalis; The often fold up along a center crease. This species is known for its sharp angle erect seed pods and there bent stalks. 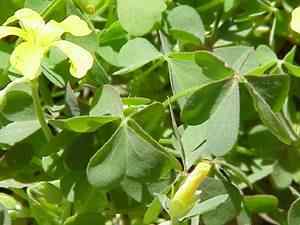 Flowers have 5 flaring petals, sometimes redish at base.